Christina El Moussa is a television personality and real estate investor who is notable for co-hosting the HGTV series Flip or Flop. 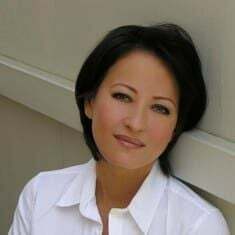 Christina was offered the job after spending several years running a highly popular and successful real estate agents in the Southern California area. Moussa married Terek in 2009 and their divorce was finalized in 2017. The couple has two children too. She currently married English TV presenter and automotive specialist, Ant Anstead. Christina El Moussa was born on 9 July 1983 in Anaheim, California and was raised in Anaheim Hills. She holds American nationality and regarding her ethnicity, she has a mixed ethnical background. She started working in the real estate industry right after college. Christina El Moussa and Tarek El Moussa started working as a team member and began selling real estate in the southern California area. However, when the housing market plummeted after the October 2008 stock market crash, they had to suffer a lot. Eventually, they overcame that and today they run a successful business. Today, Christina El Moussa and her husband run a real-estate agency named ‘The El Moussa Group in Orange County, California. The couple with their business partner, Pete De Best, bought their first investment house in Santa Ana for $115,000. After splitting the profit, they have continued to flip houses, expanding their real estate investing business in Nevada and Arizona. 'Flip or Flop' became the biggest opportunity in Christina El Moussa’s career. It is a television series which is broadcasted on HGTV and hosted by Christina and Tarek. All of this began when all of a sudden Tarek asked one of his friends to help them make an audition tape for HGTV. The tape was sent to HGTV after the moment was captured. Then, in 2012, HGTV signed the husband and wife duo to be the part of a regular weekly program that shows the process of buying distressed property and renovating it. Christina El Moussa is one of the popular TV hosts, as of 2017, she has an estimated net worth of $6 million. 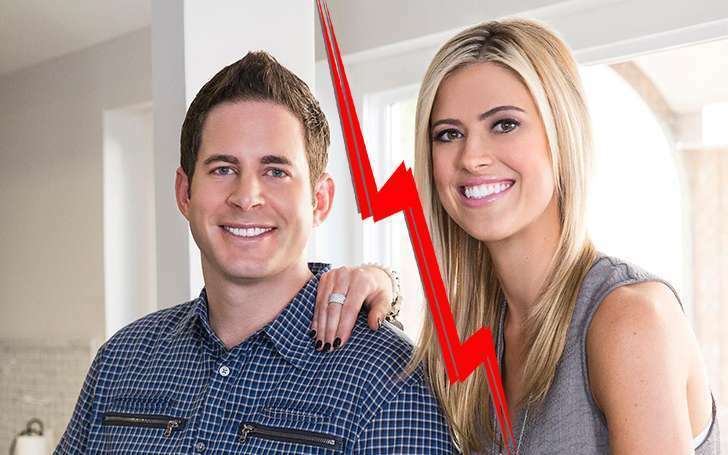 She earned $10,000 per episode from Flip or Flop along with extra earnings through her real estate company. In 2011, Moussa and her former husband purchased a townhouse property in Santa Ana at $115k. After a year, they sold their house at a profit of $34k. In May 2018, she put up her home for sale at $2.995 million. Her husband Moussa purchased a $4.1 million home in Newport Beach in early 2018. 4,870 square feet mansion boasts four bedrooms and four bathrooms. Moussa is also the proud owner of Bentley which worth around $190K. Christina El Moussa is in a romantic relationship with TV presenter, Anthony Richard Anstead aka Ant Anstead. She and her beau Ant Anstead started dating in November 2017 but they made their relationship official only in January 2018 after attending an Anaheim Ducks hockey game. The couple has celebrated their six-month anniversary in May in Mexico where she flaunts her bikini body. The Flip or Flop star, 35, married the Wheelers Dealers host, 39 on December 22, 2018. The power couple tied the knots in a secret "winter wonderland" wedding at their home in Newport Beach, California. They have been dating since October 2017. The newlywed couple is enjoying their honeymoon in Bora Bora. Form their honeymoon, El Moussa shared a photo kissing passionately in front of the sunset at a Bora Bora resort. The pair's holidays in Bora Bora already look pretty expressive of their perpetual compatibility. Christina was married to Tarek El Moussa from 2009-2016. She and Tarek El Moussa met each other in their college days and from that moment the pair was inseparable. They got married in 2009 and stayed for six years together. The couple also has two children together. She gave birth to her first child, a beautiful daughter, named Taylor in 2010. 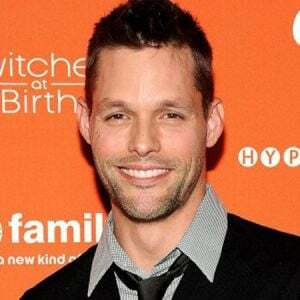 However, the happy couple had to go through a lot of pain after the miscarriage when Christina was pregnant with the second child. However, Christina gave birth to her second son in 2015 and named him Brayden James. Christina and Tarek separated from each other in December 2016. Then, she dated Doug Speeding for a few months after separating him. 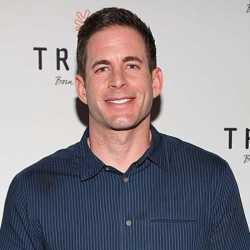 In October 2017, Christina and Speeding broke up and she once again close to her ex-husband Tarek El Moussa. The divorce was finalized on January 2018 and the couple continues to co-parent their children. Moussa also dated her boyfriend businessman, Doug Spedding in mid-2017 but their relationship couldn't last long and the couple split apart after Spedding entered an inpatient rehabilitation center for addiction. She rumored to had plastic surgery of lips, later it turned out to be fake news. Christina El Moussa stands at the height of 5 ft 9 inches and her weight is 58kg.